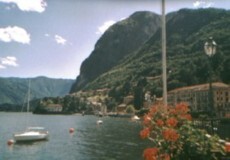 The most famous lakes in Italy are in the north of the country at the edge of the mountains which climb into the Alps. Lake Garda, Lake Como and Lake Maggiore are very large and long, running north to south. Although they aren't close together, they have sometimes been grouped together as 'the Italian Lake District' - an anglicised description evoking the area's poetic and literary connections. Beloved of the romantic poets as well as later writers, statesmen and royalty, the northern Italian lakes are beautiful and atmospheric, where mountains descend to meet the lakeshore, and stately grand hotels dominate pretty lakeside towns. For more than a hundred years, these have been popular destinations for English, American, German and other international visitors. Each is a tourist destination in its own right, and they each offer pretty much the same type of holiday experience. Several firms organise package holidays to the Italian lakes, but as travel connections are quite straightforward, many travellers nowadays prefer to book their own flights and hotels. Independent planning can offer the benefit of saving money by using budget flights or careful hotel selection, as well as offering more choice and flexibility. Milan Bergamo Airport, Brescia and Verona are all good airports for holidays in the lake regions, and the towns on the lakes are all well-connected by trains, buses or ferries. To many, the famous northern lakes are the 'Italian Lakes', but in fact these are not the only attractive expanses of water in the Italian peninsula. Lakes don't come much more dramatic than Lakes Garda and Como, but further south in rather tamer surroundings the independent traveller will find some placid gems. Lake Garda, Italy's biggest lake, is long and slim with a southern shore of low, rolling hills, and a contrasting northern end which is surrounded by towering mountains. Popular destinations: Desenzano del Garda, Sirmione. Lake Como is more tranquil and wooded than Lake Garda, although here too, you can head easily for more rugged terrain. The lake is a reminder of bygone holiday elegance, with a steamer cruising between resort towns and stately gardens open to the public. Lake Maggiore is the second-largest lake in Italy, stretching between Lombardy and Piemonte and reaching into the Alps. The lake gets busy with tourists, particularly in the height of summer, but charming resorts such as Stresa, and the famous gardens of the Borromean Islands, Isola Bella and Isola Madre, make the destination a permanently worthwhile one. 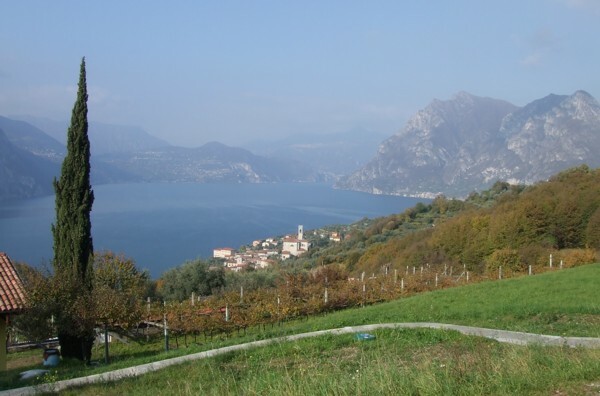 Between Lake Garda and Lake Como is the smaller, less well-known Lake Iseo (Lago d'Iseo). This is a long, narrow lake with one steep inhabited island and a number of interesting and pleasant tourist attractions around its shores. Further south, and in less alpine surroundings, you will find a selection of Italy's other lakes. In green Umbria, Lake Trasimeno is Italy's fourth-largest lake, a peaceful destination for foreigners who are looking for beautiful landscapes and are finding nearby Tuscany too crowded with their own kind. Trippers can enjoy a picnic and a stroll on the attractive island, Isola Maggiore. In Lazio, to the north of Rome, the province of Viterbo contains three charming lakes which are popular with Italians and with those foreign tourists who have discovered them. Lake Bracciano is large and circular, with several attractive and historic little lakeside towns. On a steep hill overlooking the water, Bracciano itself is a town with a lovely small, steep historic centre. The imposing castle is open to the public, with fascinating guided tours (available in English) explaining some of the scandalous past goings-on (illicit lovers, secret passageways, mysterious deaths.. the usual). The castle can also be hired for private events such as wedding receptions (it gained worldwide fame in 2006 as the venue for Tom Cruise's wedding), and the candlelit ramparts at night must be a dream setting. Lake Bolsena is a circular lake boasting two small islands, located close to Lazio's border with Umbria. Italy's largest volcanic lake covers 115 square kilometres, and is encirled by low, vineyard-crowned hills. The best vantage-point is from Montefiascone, a pretty hilltown with an impressive cathedral, famous for producing Est! Est!! Est!!! wine. Smallest of the three is Lake Vico, which has nature reserves along its shore, and is another volcanic crater. Also in Lazio are the attractive lakes of the Castelli Romani, Lake Albano and Lake Nemi, circular former volcanic craters set in wooded hills which have been popular summer resorts from the times of Ancient Rome onwards. > Accommodation around Lakes Albano and Nemi. The Dorling Kindersley travel guides are good for getting a visual overview of the area. Highly glossy and lavishly illustrated, they give you a good idea of what to see in the region. For more indepth practical details and background, you may wish to combine the guide with a more text-heavy book.